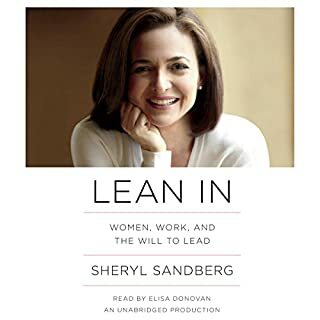 the author points out the fears and struggles women face at the workplace. It is wonderful to hear, how she managed career and family despite fearing not to be present enough at home. Further I liked the simple but true statement about how to find the perfect partner - I can only agree looking at my partner or my father. Also loved, how she states the importance of male role models in the family and how kids benefit from both parents being present in their life, instead of only the mother being the primary care giver.